Do you want to have effective and rational communication to Anyone, Anytime and Anywhere? Do you want to have many friends? Do you want to have interesting and positive, successful life, great relationships? Do yo want to be always first in networking? May be you want to make a best career? Great, it is very simple to have all! 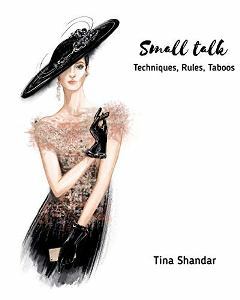 This book "Small talk" will help you to change all. Challenging situations during social events: questions-answer. Why the art of Small talk is so important for you? Why small-talk so powerful? The book is interesting, simple, and you’ll be better right away at conversation and small talk. Small talk will help you overcome communicative problems, build you confidence and increase you skills. Select the orange “BUY” button, get you copy NOW and start positive and great conversations today!